Login here to your account to renew. The purpose of the CRC® renewal program is to enhance your professional expertise and ensure an ongoing understanding and compliance with ethical requirements. The CRC certification carries an obligation of continuing education to help Certificants maintain current understanding and knowledge of relevant retirement planning topics. Like many other professional certifications and licenses, an annual continuing education requirement assures a Certificant’s commitment to life-long learning. The one-year continuing education requirement is important for professionals working in a dynamic industry and constantly changing legislative, tax and resources environment. A signed Certificate Holder’s Statement attesting to your understanding of and compliance with ethics requirements (those who fail to file the Certificate Holder’s Statement for any one year will have their certification status suspended and/or be required to pass a two-hour ethics course before reinstatement. A renewal fee of $140. How do you renew your certification? If you have moved or there are any other changes to your contact data, please notify InFRE immediately so you will continue to receive timely information relevant to your certification. Certificants must report their continuing education hours to InFRE annually. Certificants receive an email from InFRE approximately six weeks before their annual renewal date with instructions on submitting CE and other requirements. Guidelines for earning Continuing Education may also be found by clicking here. For more information about continuing education opportunities available through InFRE, see Continuing Education Resources. 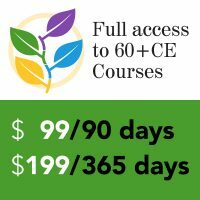 If you need additional CE credits, please visit our CE partner for retirement-specific elearning, print and audio courses.